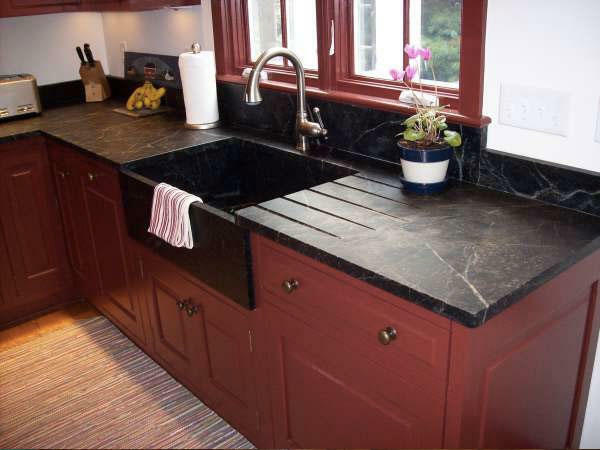 Soapstone countertop from Vermont Soapstone. If you like contradictions, you&apos;ll love soapstone. Despite being unimaginably dense, soapstone is softer and easier to work with than any other stone. Even though it only ever commanded a tiny niche in the building industry, soapstone still manages to inspire strong feelings because it tends to dominate a room. "Either people have no use for soapstone, and that&apos;s about 99 percent of people, or they love the stuff," says Glenn Bowman, president of Vermont Soapstone in Perkinsville, Vermont. "No one&apos;s in the middle." In old buildings, soapstone has a long and varied history of use, often for kitchen sinks and stoves, and even for exterior building trim. 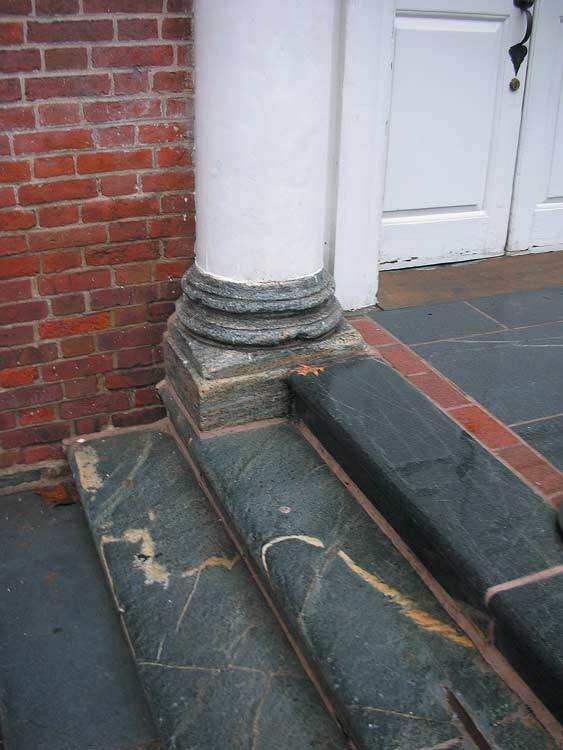 Philadelphia&apos;s Independence Hall, for instance, has a water table, quoins, and column bases made from soapstone that are original to the building, built between 1732 and 1756. Because the stone is non-porous, it is impervious to acid rain and pollution. Usually gray or a greenish gray, soapstone darkens over time when exposed to air, although the almost black color favored for kitchen sinks and countertops comes from applying oil. Such a solid, durable material would seem like a natural fit for old houses. The material, though, fell out of favor by the mid-20th century and only recently began capturing the attention of consumers, who are rediscovering soapstone for its heat conductivity, longevity, and simple good looks. "Also called steatite, soapstone is a metamorphic rock that forms deep below the earth&apos;s crust in the mantle," says Andrew Kurtz, an assistant professor of earth sciences at Boston University. "That makes it pretty interesting and somewhat rare geologically. Getting mantle rocks to the surface takes some doing, which is why you typically find soapstone in mountain belts, where rocks are deformed, metamorphosed, and brought to the surface." In its purest form, soapstone is talc, used to make all of the world&apos;s baby powder. Talc gives soapstone the characteristically greasy feel for which it is named. The softest of minerals, talc is number one on the Mohs scale of mineral hardness; diamonds are at the opposite end at number 10. According to New England folklore, farmers knew they&apos;d found soapstone when their plow hit a rock that didn&apos;t clang. The percentage of talc is what determines soapstone&apos;s texture and strength, with a high talc content ideal for sculpture. The ancient Egyptians, for instance, favored soapstone for carving scarabs, and the Christ figure above Rio de Janeiro is clad in a mosaic of soapstone squares. Soapstone with a high talc content is too soft to use as a building material, and if the talc content is too low, the stone is too brittle. The happy medium, at least for sinks, architectural trim, and most building purposes, is a stone that is 60 to 80 percent talc. And what a broad range of purposes soapstone has served. Native Americans made soapstone tools, ornaments, and bowls 3,000 years ago in what is now northern Georgia and northeastern Connecticut. Those Native Americans understood that nothing holds heat better than soapstone, which was why they cooked their food in soapstone bowls. At about the same time, tribes in the Arctic regions began using the stone to carve seals. In later centuries, tailors traditionally used a chalky version of the stone to mark clothing for alterations, and soapstone was and still is used to make paper and paint fillers. 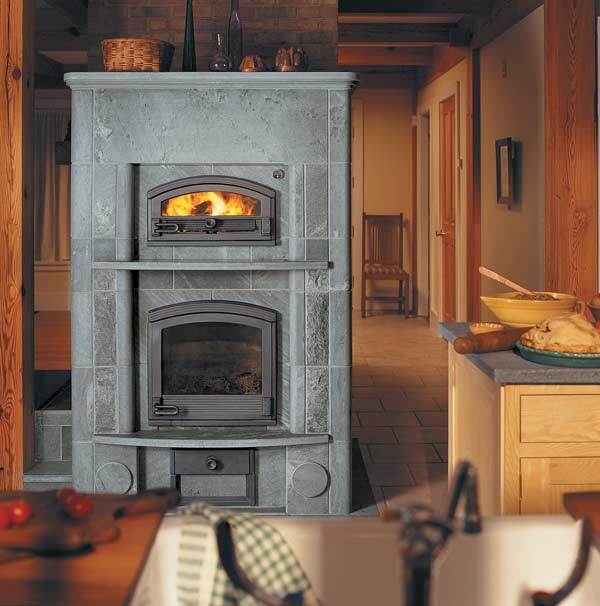 But it was soapstone&apos;s heat conductivity that propelled its use in the 19th century, when small quarries dotted the Northeast, particularly in mineral-rich Vermont, where the lion&apos;s share of soapstone stoves, sinks, and griddles were made. The stone was also used for boot and bed warmers, as well as foot warmers in sleighs and automobiles before they had built-in heaters. 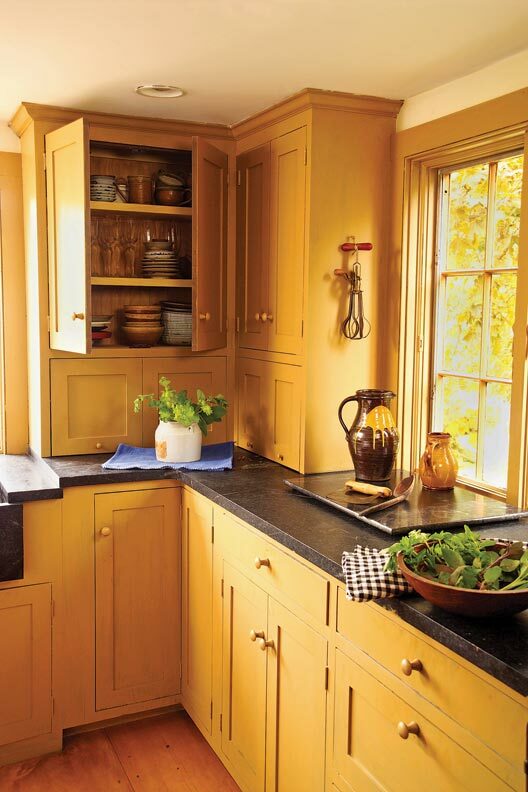 Even today, soapstone&apos;s thermal properties are still being applied in new ways. 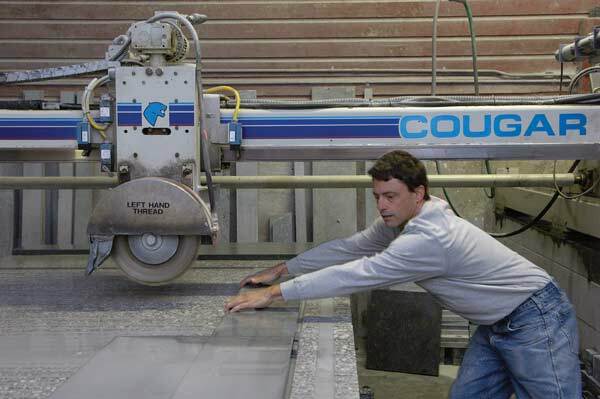 Bucks County Soapstone in Perkasie, Pennsylvania, makes soapstone shower pans under which customers install radiant heat for a toasty warm shower floor. The advantages of soapstone, including its ability to retain and radiate heat, have a lot to do with the material&apos;s density. "Unlike iron or other metal, which absorbs the fire&apos;s heat and then rapidly releases it, soapstone is so dense and stable that it releases the heat slowly," says Tim Butler, a customer service representative and head of financing for the Woodstock Soapstone Co. in West Lebanon, New Hampshire. "Long after your fire has gone out, the stove is still warm and radiating heat." Butler believes the stone stays warm because it has millions of microscopic hot air bubbles trapped inside. "All stone holds and radiates heat the first time it&apos;s heated, but only soapstone keeps on doing it each and every time, forever," adds Bowman. Count Rumford, the Massachusetts-born inventor and scientist, knew this about soapstone when he chose it to line his early 19th-century stoves. The material was also used for fireplaces and not just for those in wealthy homes. Practically every humble farmhouse in northern New England boasts fireplaces with soapstone cheeks. Heat retention was less important for soapstone&apos;s other predominant role in old houses—sinks—but its density was a factor there, too. Although today we tend to think of a soapstone sink as belonging in a chic country-style kitchen, soapstone didn&apos;t start out upscale. 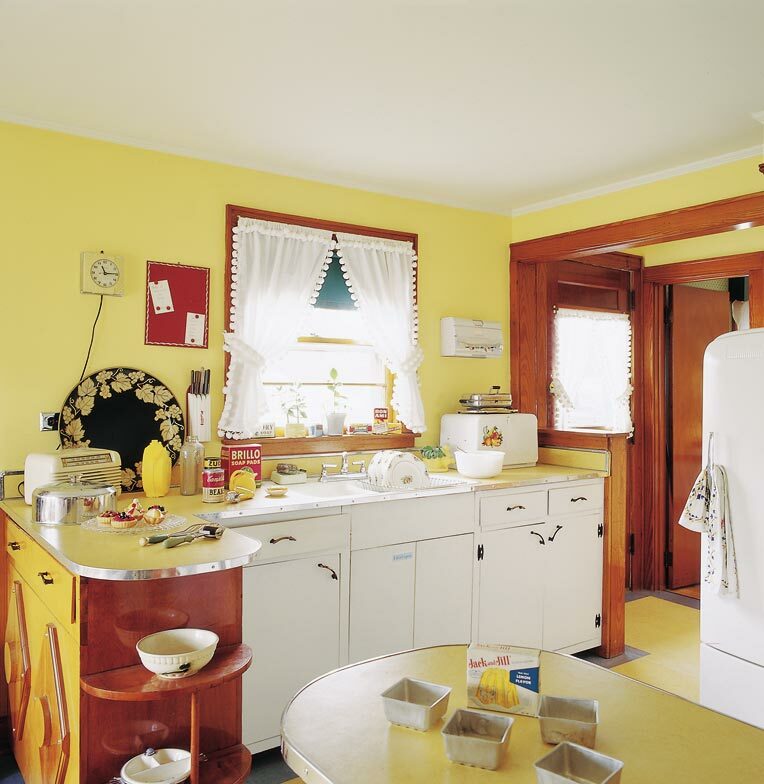 In the late-19th century, it was used for down-market laundry and kitchen sinks in triple-decker apartments in Maine and Massachusetts. Eventually, soapstone developed a reputation for being indestructible. Impervious to almost anything, including acid, soapstone has long been the countertop material of choice in chemistry labs. "You could put soapstone into a nuclear reactor, and what you&apos;d get at the end is soapstone, exactly as it was before," says Bowman, whose company salvages old sinks and also sells standard and custom-made sinks nationwide. He sees 150-year-old soapstone sinks that are still perfectly serviceable today. "With modern waterproof seam epoxies, you can clean up and seal the old joints," he says. 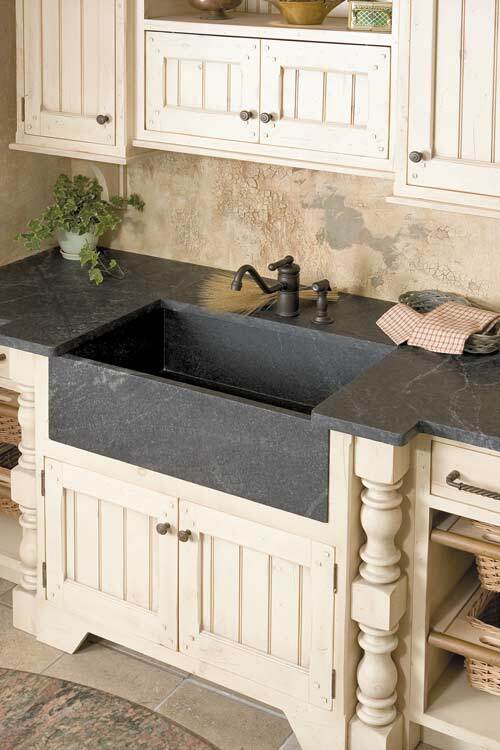 Despite its durability, soapstone never overcame its second-fiddle status for sinks and other building purposes because small deposits limited a manufacturer&apos;s potential for profit. Even in the 19th century, the cost of quarrying the stone was such that it was only profitable in large quantities, and just as consumers became interested in soapstone stoves and sinks at the end of the century, easier-to-produce and cheaper-to-ship materials began to appear. Meanwhile, Vermont, one of the leading producers, was reaching the limits of its supply. "Vermont soapstone deposits are small, and by World War I, the quarries were mostly played out," says Edith Hunter, who wrote a history of the state&apos;s soapstone industry. Finding new deposits was prohibitively expensive, and the bureaucratic hassles associated with quarrying soapstone skyrocketed. It took the oil embargo of the early 1970s to reawaken consumer interest in soapstone stoves, which were more attractive than metal ones. Then, a public captivated by natural products and all things antique took another look at those basement laundry sinks and decided that they liked what they saw. Today, soapstone is making a comeback in part because the material is being imported like never before. The soapstone sold in the United States, which has mostly small deposits, comes from Malawi, China, Canada, and Brazil. "There may still be a few active quarries around the Great Lakes, but nothing is produced in any real quantity in this country," says Butler. His employer, Woodstock Soapstone, imports its raw material from Quebec, while that for Vermont Soapstone is quarried in Brazil. 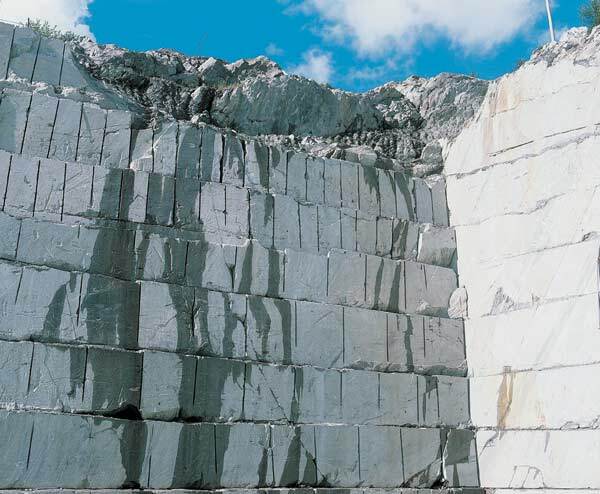 But some soapstone could come from American quarries again. Bowman plans to dig a new quarry in Newfane, Vermont, in the next few years because, he says, "if current interest in soapstone continues, it&apos;s worthwhile."